I haven’t discussed the Statute of Limitations for motorcycle accidents in Pennsylvania on this site in some time. It is important to revisit the subject from time to time. 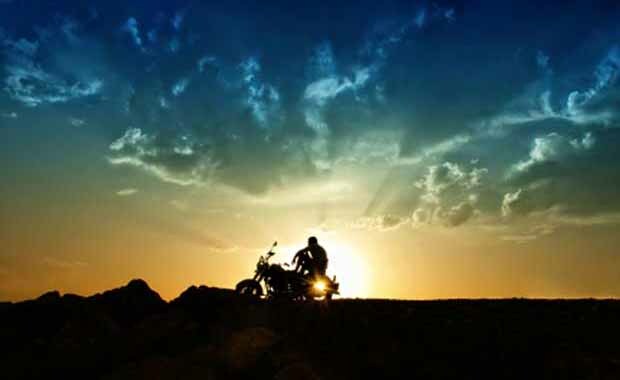 A motorcycle accident injury falls under personal injury law. In Pennsylvania, personal injury actions must be commenced within two years of the act or omission giving rise to the injury. Also, under Pennsylvania law, a minor must file suit within two years of their 18th birthday. Even though you have up to two years to file a motorcycle accident action, I would caution you not to delay in hiring a motorcycle accident attorney to “wait and see how I feel in six months”, for instance. Evidence tends to evaporate quickly and memories become fuzzy so we will want to get you off and running, as soon as possible. If you intend to delay action at all, be sure to take many photos of your injuries, and if possible the accident scene, at the very least. A claim is different than an legal action. In the Statute of Limitations, a “action” must be commenced within two years. However, the first step is that claim must be made – before a legal action. A claim is when you request reimbursement for something owed to you, depending on how the accident happened – in motorcycle accident claims, it is monetary reimbursement for medical bills from injuries, reimbursement of wages from work time missed, motorcycle repair, or pain and suffering. If a claim has been made, but you have not reached a settlement for the amount due to you within two years, you must file a lawsuit to protect your rights to the claim you made. You can probably guess that insurance companies want to drag out claims to try and reach this milestone of two years! It is more difficult for you, as an individual, to counteract this when you do not have an attorney helping you. Call Lee Gaber at 888-292-5352 as soon as possible after your accident for maximum protection of your rights. How long do motorcycle accident claims usually take? Some Pennsylvania motorcycle accident cases can be completed in a few months while other cases might take years. As your motorcycle accident lawyer, I will make every effort to resolve your claim without filing a motorcycle accident lawsuit. If we can reach a settlement, it takes much less time than a trial. If litigation is necessary, each court is different with regard to the amount of time it takes to bring a case to trial, without even considering the length of the trial. Unfortunately, litigation tends to be slower than we would like, but I try to push the case to a conclusion as quickly as possible, without jeopardizing your maximum recovery amount. As your motorcycle accident attorney, I am cognizant that you may be strapped for cash, having potentially been laid up and unable to work, with medical bills piling up. So we begin work on your case immediately. Remember, we don’t get paid until you do, so we aggressively pursue your motorcycle accident case with every tactic we have in order to obtain fair compensation in a timely manner. Do My Injuries Affect the Time it Takes to Settle? Your injuries are one of many factors, but yes. We want your claim to cover all your medical expenses, not just the initial expenses. When the treating physician issues their final report setting forth the diagnoses of your personal injuries, as well as their opinion on the prognosis, the evaluation of the dollar amount demand for settlement can begin. Once our demand has been submitted to the insurance company, it may take 4-6 weeks for the company to review it before negotiation may begin. In more complicated cases, the time may take even longer. So, you can see why it is essential for you to contact Pennsylvania motorcycle accident attorney as soon as possible. Call the Cycle Attorney Today! 888-292-5352 (888-cycle-law).